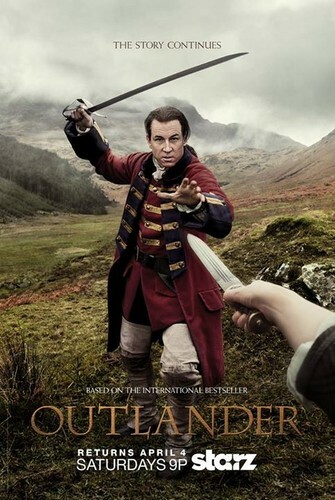 Outlander Season 1 Official Poster. . HD Wallpaper and background images in the serial tv outlander 2014 club tagged: photo outlander season 1 1b official poster jack black randall. This serial tv outlander 2014 photo contains sunset, sunrise, matahari terbenam, and matahari terbit. There might also be penembak dgn senapan, orang pandai mendaki gunung, and turbin angin.